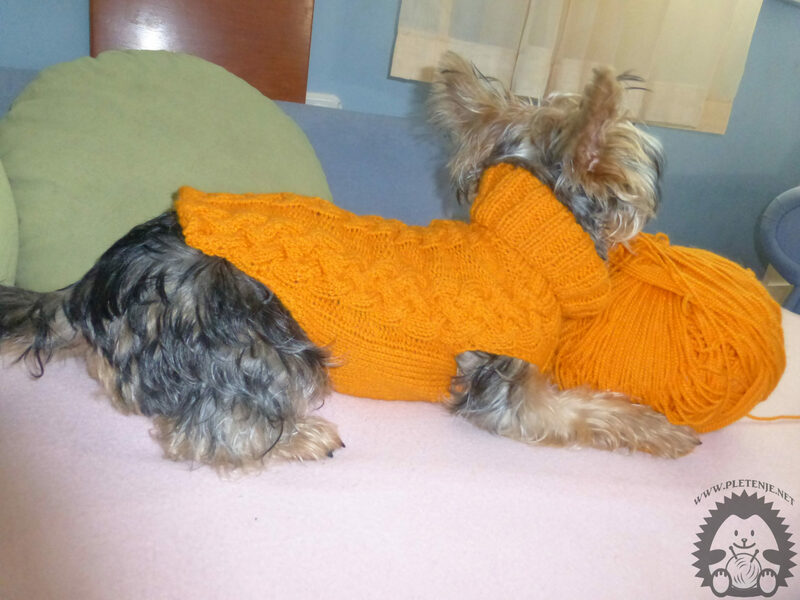 When the temperatures fall below zero the little dogs are simply shaking in the cold. In order to make him as comfortable as possible, pluck his dog boxes to heat him up. Try to apply someone else yourself sample. For more information visit our Youtube channel. Impose 16 eyes on four pins. 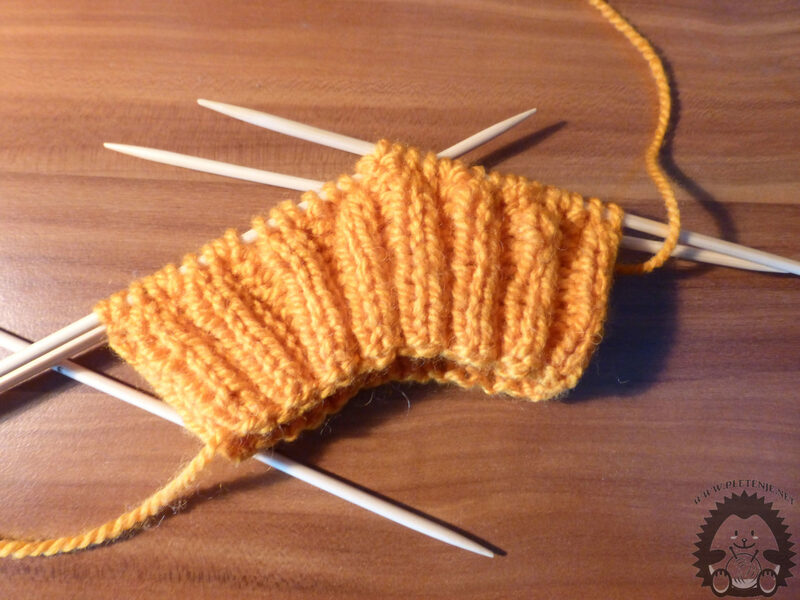 Brush the two right eyebrows together with the ribbed bite, two in order to make the upper part elastic and narrower from the rest of the knitwear. 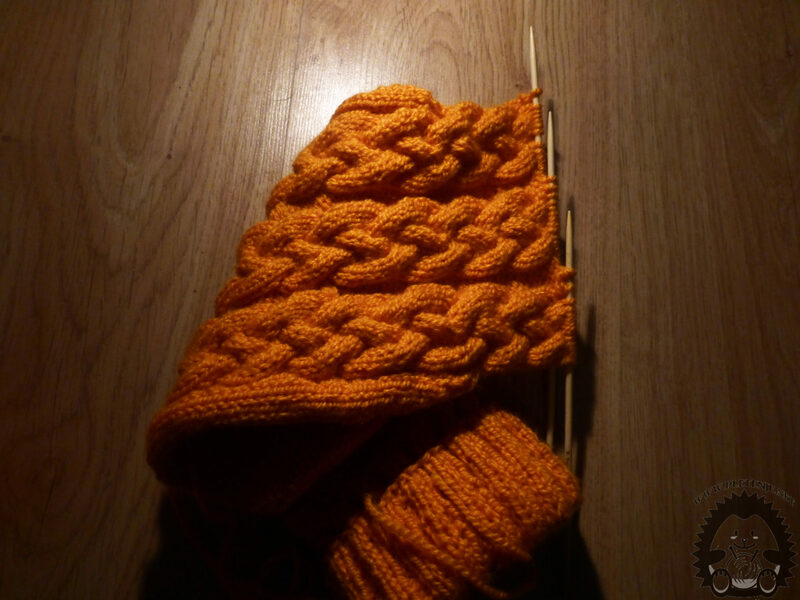 Knit as much as you need to have the collar fold over. When the collar is still tied into the circle, knit the next needle on the three needles, and the fourth needle is just knit. We repeat the procedure twice. Let's go some ten inches off and cut off. Secure the knitting thread and continue to knit the knit on the fourth needle sixteen row one row of the right one, one guilty, so that on the face of the knit we have a plain smooth point. 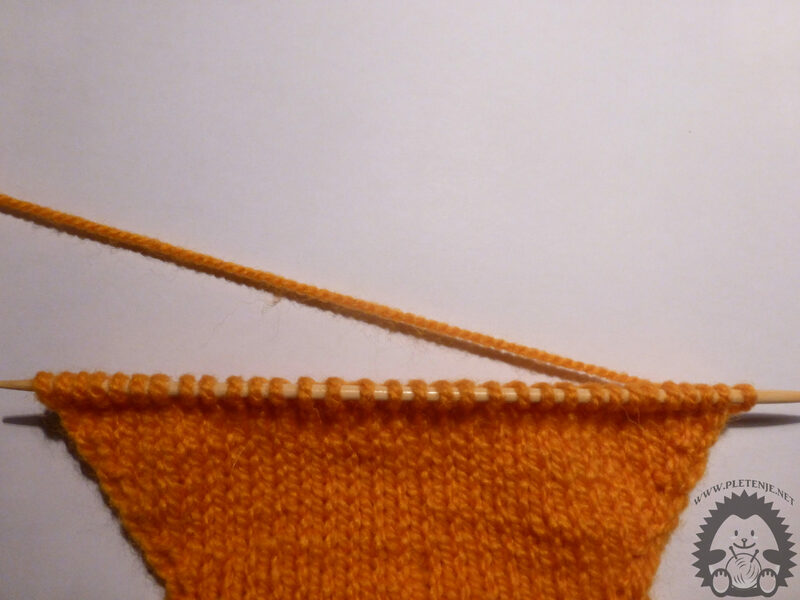 Each other row on the edges adds one eye to the other, and the other end of the eye is first wrapped up as the right eye, and then, without removing it from the left needle, we fold as a right-eyed face, and then just skip to the left needle. 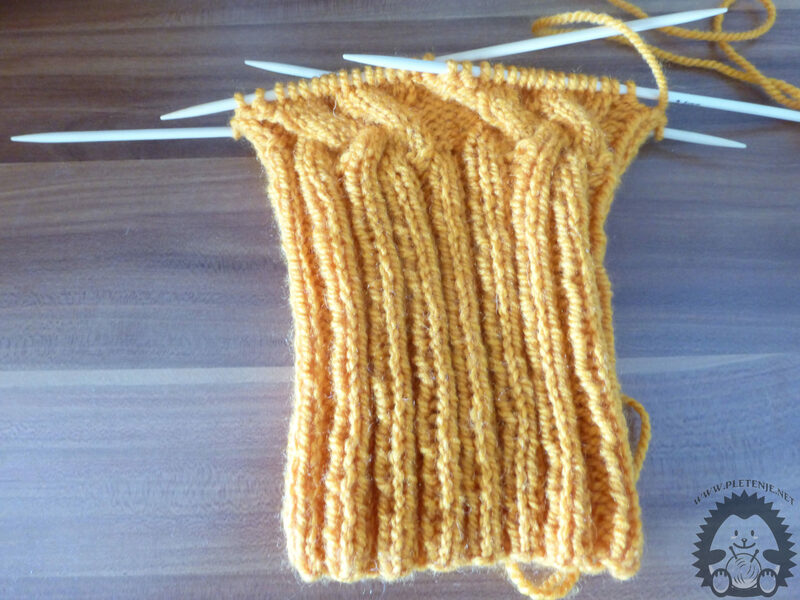 We continue to knit in the circle following the instructions from the second step and repeating the procedure five times. 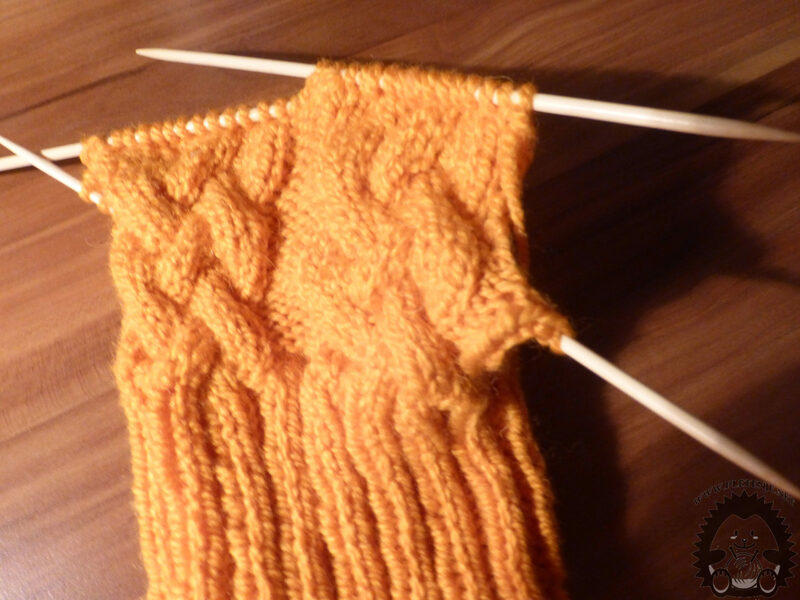 After that piece of knitting on the fourth needle ends and we continue to knit with three pins on which the pattern is as in the third step until we get the length of the section we want.